It is only natural for you to worry about your children’s online safety and keep an eye on the kind of friends they make on social media and other social networking apps. 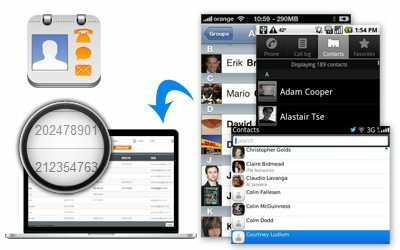 In the past, it was only possible if they brought their friends over to their place, but now, you can find out who’s in their friends’ circle by tracking contacts list they have saved in their phones. Do you wonder whom your partner has on their contacts list? Do you worry about the kind of friends that your daughter has and if she should avoid certain people? Do you want to know if your employees have “befriended” your competitors? Then TheOneSpy’s contacts spying feature is for you.